Are you struggling to drive the transformational changes your business needs to move forward? Considering what proportion of your budget to fund innovation, or already spending on innovation but haven’t seemed to drive any real traction? Or have you developed an innovation programme that is truly driving change to your business and willing to share your experiences? 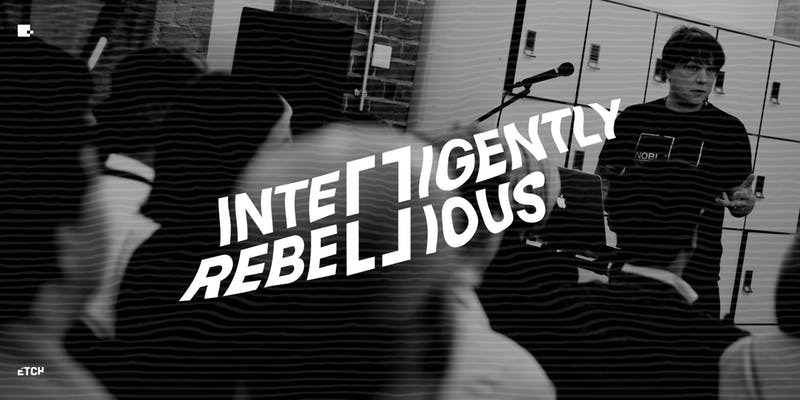 If so then join us for an evening of inspiring discussion and debate all around driving innovation with C-Suite and innovation leaders at our next Intelligently Rebellious event. At Big Radical we don't believe that big budgets deliver better outcomes. In fact, as big budgets can often drive complacency, this doesn’t always mean big success. When it comes to innovation strategy, consultancies and agencies can be guilty of spending the entire budget on activity, rather than scrutinising it and proposing an economical, evidence-based solution. We want to change this, so during the evening, we will be discussing and sharing alternative and effective solutions for successful innovation. At our previous Intelligently Rebellious meetup the discussion was framed around the brutally honest frustrations of a drunken CEO’s inability to innovate within business. Our radical thinking leaders included C-Suite and Heads of innovation from Uber Eats, Seedrs, TUI, Age UK, Oxfam and Pizza Hut who were all able to openly discuss and learn from each other's successes, frustrations and challenges whilst driving innovation strategies within their businesses. On May 15th, as a nod to the drunken but thought provoking CEO, the drinks are on us at a private room at our local pub the Crown Tavern, Clerkenwell Green. We invite you to share your insights and challenges amongst like-minded radical leaders and learn how to best spend your innovation buck to drive the transformation your business needs. This event is invite only, and marls the creation of our exclusive club for the Intelligently Rebellious. More information on the clubs launch, purpose and complimentary membership will be released on the evening. Please register below if you’d like to join us, places are limited and exclusive to brand-side C-suite and Innovation leaders only.